Plenty of people will be ready to party in the Bay Area on Sunday if the Rapture does not come a day earlier. In the end, the end was not near for Bay Area residents, but that didn't stop them from planning a party after it's all predicted to be over. 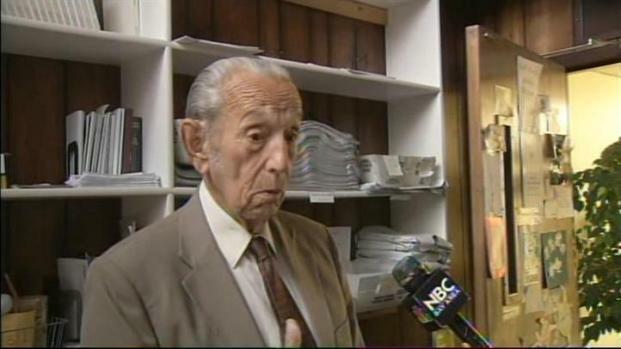 Harold Camping, founder of the Oakland-based Family Radio network, predicted earlier this year that the Rapture -- the ascension of millions of earth dwellers into heaven marked by a massive earthquake -- would take place Saturday. Here we are on Sunday and it appears we all are still here. Camping and his followers have advertised the prediction throughout the nation in recent weeks. But American Atheists, a nonprofit group based in New Jersey, has planned its first-ever Rapture-focused meeting in Oakland this weekend, said a volunteer at the organization. "We're going to celebrate the fact that the Rapture didn't occur," said A.J. Johnson of American Atheists. NBC Bay Area's Cheryl Hurd talks to a Christian minister about the prediction that the world will end this weekend. Organizers will focus their regularly planned Regional Atheist Meet on the Rapture, which they think will not take place Saturday, which of course was the case. "There's no good reason to think it would happen right now if it hasn't happened for the past 2,000 years," Johnson said. Officials at Glide Memorial Church, the San Francisco-based Christian organization that helps feed the homeless, also do not think the Rapture is coming and are preparing for regular church services this weekend. The Rev. Cecil Williams, founder of the church, "is planning to work Saturday and Sunday, and no special Rapture sermons have been planned," said church spokeswoman Denise Lamott. The Regional Atheist Meet will be held at the Oakland Masonic Center at 3903 Broadway at 9 a.m. on both Saturday and Sunday. Speakers will include Mark Boyd, cofounder of the Central Valley Alliance of Atheists and Skeptics based in Fresno. David Byars, a founder of a secular student alliance at De Anza College in Cupertino, will also speak. Organizers of the event have planned a trek for attendees to view a billboard describing the Rapture displayed near the foot of the Bay Bridge.